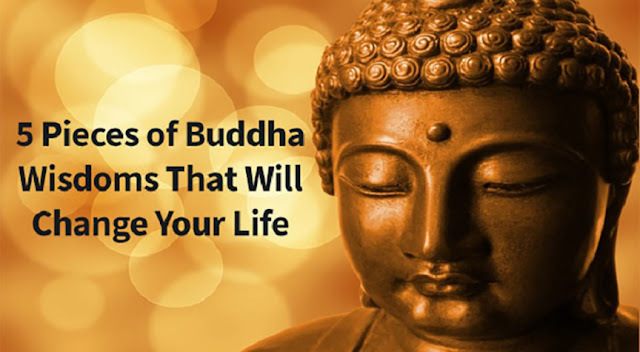 There are many lessons to learn from Buddha, but here are 5 pieces of wisdom that could change you life for the better. Do you know what compassion is? It is the sympathetic pity and/or concern for the sufferings or misfortunes of others. And it is easily one of the most prolific qualities in Buddhism, as compassion is a great indicator of a highly-realized human being. Living with compassion means wanting to truly know and understand those that occupy your life. Compassion is what allows us to find inner peace, it gives us the ability to forgive ourselves, the ability to heal old wounds and to remain resilient during times of adversity. But at its very core, compassion is about acknowledging the inherent goodness that is in every person and connecting with others in genuine ways. There’s power in living in such a way that you are fully awake for each and every moment of your life. When you submit to the moment, letting everything else fade away, it will change every aspect of your life (in a positive way). Be mindful, be aware. When you’re focused on living in each moment of each day, you’re able to accomplish more. Overcoming obstacles in life, finding inner peace and growing organically are all results of being awake for every moment. To overcome the daunting notion of our own mortality, one must embrace the fact that death is just as natural as life. Each and every one of us did not exist for hundreds of millions of years and it never bothered a soul. Acknowledging and accepting that we are not permanent fixtures in this world helps us more deeply understand the interconnectedness of everything in our world. Students of Buddhism are often asked to “meditate on the corpse” as a part of this acceptance. They literally meditate on an image of a corpse, being asked to visualize and imagine the process in its entirety. Eventually, it is hoped that the individual meditating will have a profound realization about the nature of death and its place in the world. The ego is a profound phenomena. And it is often the most prominent obstacles that lie on our path to spiritual enlightenment. Spirituality comes from being completed grounded in our realities or our being. The ego often stands in the way of finding inner peace and happiness because it deals mainly with convincing us that we are separate from ourselves. The ego pulls us away from our grounding in reality. It’s deeply ingrained in our being and it has been for years, so it can be a lengthy process untangling the mess. But it’s definitely worth it. One of the greatest things that Buddhists understand and advocate is knowing yourself. How can you possibly help others to find who they are without fully understanding who you yourself are? In saying this I do not mean that you must attain great riches or power in order to facilitate change, in fact just the opposite. Once one understands that we are all interconnected, then it only stands to reason that by bettering one’s self you better the whole simultaneously. The best way to achieve this understanding of interconnectedness is by getting rid of the notion of “you or them.” We’re all in this together.